After a very successfull Scale Day held in LMAC in 2018, we are excited to continue the success again in 2019. Plans are already underway to promote and support the Scale interests in Ireland, and we will reveal more soon. In the meantime, we have already a date confirmed for your calendar. 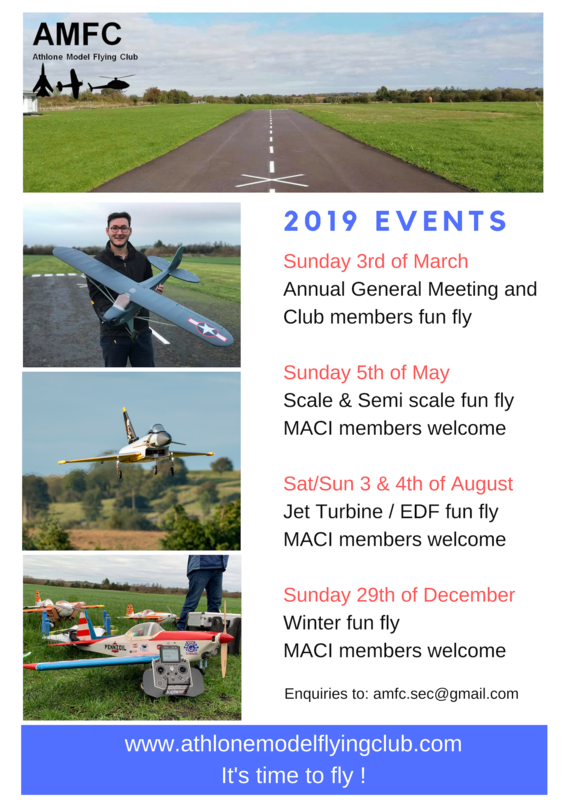 Our friends in AMFC ( Athlone Model Flying Club ) are holding a Scale & Semi-scale fun fly on Sunday May 5th and all MACI members are welcome.